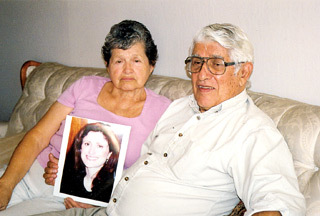 Nearly three-and-a-half years after Jeanine Sanchez Harms vanished, the Los Gatos/Monte Sereno Police Department has arrested the man who was last seen with Harms on July 27, 2001. The arrest comes after a painstaking 18-month examination of evidence found in suspect Maurice Nasmeh’s Jeep Cherokee that matches a rug from Harms’ home that had been discarded in a dumpster only half a mile from Nasmeh’s home. 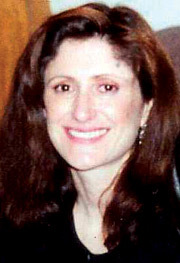 Jeanine Harms, 42, was last seen in the company of 40-year-old architect Maurice Nasmeh on the night of Friday, July 27, 2001. After meeting Nasmeh at a Campbell restaurant and sharing a few drinks, she invited him and another acquaintance back to her Los Gatos home to continue partying. Nasmeh was the only one who followed Harms home that fateful night. The next day, Harms was supposed to call a girlfriend but never did. By Monday when she did not show up to work, her concerned family and friends called police. She has not been seen or heard from since and her body has never been recovered. While the police quickly learned that Harms was in the company of two men that night, they didn’t have any evidence to connect one of them to her disappearance until a friend remembered several months later a photo of a Persian rug that was missing from Harms’ home. Using the media to get the word out, pictures of the rug were soon displayed on TV news and in newspapers throughout the area. The big break in the case came when a woman who had found the rug near a dumpster near the Target store on Camden Avenue and taken it home saw the rug and contacted the police. This location is only half a mile from Maurice Nasmeh’s Cambrian-area home. The police took the rug to a crime lab for a painstaking 18-month analysis and eventually tied fibers on the rug to fibers found in Nasmeh’s Jeep Cherokee. The fibers found were from a latch hook rug kit that Harms had been working on. 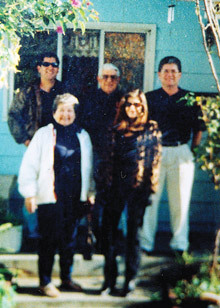 The last family picture of the immediate Sanchez family was taken on the Thanksgiving before Jeanine was reported missing. Nasmeh is being denied bail because he is considered a flight risk. In an interview with the Times, Seaman said he was “thrilled” that the suspect was arrested and gave the credit to his department “for keeping their eye on the goal. They really deserve the [praise] for their efforts. This case has deeply affected every member of this police department.” He gives special credit to the lead detective on the case. But both factions give credit to the efforts of family and friends as having a positive outcome in the case. “I do think that the unusual thing about this case is that the family and friends kept the story alive in the media. And, the media helped us solve the case by showing the rug,” said Sinunu. 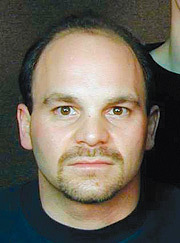 Maurice Nasmeh, 40, is a Cambrian resident who worked at a Campbell architecture firm. One question in everyone’s mind is will Nasmeh be eligible for the death penalty in this case? The answer is no, according to Sinunu. This doesn’t seem to matter to the Sanchez family. Jeanine Harms, 42, was described as vivacious and outgoing. The family and friends were overjoyed that an arrest had finally been made in the case. Nasmeh will be arraigned on Jan. 14 at which time he will enter a plea and name his council. A tip line has been established, and any member of the public with information on this case is encouraged to call (408) 399-57331 or the Los Gatos Monte Sereno Police Department directly at (408) 354-8600. A weekly publication from Times Media, Inc. Click here for advertising information. All materials copyright ©2005 Times Media, Inc. All rights reserved.